SEMrush API page is more intuitive, user-friendly, and ergonomically improved! We would like to announce that the SEMrush API page has been completely reworked to make it even more user-friendly and easier to use than before. As you probably know, API permits our users to integrate data within their software without having to go through the SEMrush interface. Additionally, a new control panel enables users to quickly access the appropriate report. 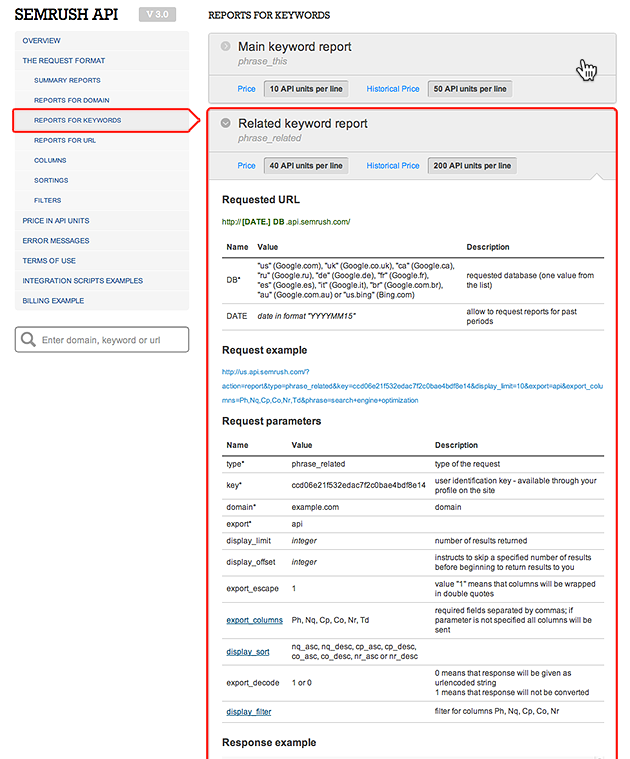 Each report is now outlined in a separate section, including examples and a description of all parameters. We have built a stylish SEMrush blog! We welcome you to share your point of view and leave comments! We are working hard to help you achieve your professional dreams - CPC distribution has been added!